Chic and nimble, the Valencia Full Sleeper is a fit for any home. Thin, sloped arms, and welted detail give this sofa bed a unique look. The Valencia vies with the San Francisco Full for the distinction "most compact Classic Sleeper." Bang bang! Got it. Sofa came in last week and it's great. The swatch samples made the upholstery process much smoother (ie I knew what it was going look like). I appreciate the samples, even though I may have lost one oops. The sofa is the perfect fit for my space. I would buy two if I had more space. We needed a new couch and don't have space in the house for a bed. Our guests rave about how well they sleep in the bed. It's a nice touch to the living room. In love with it. Very comfortable as a sofa and a mattress. I have a color very similar to what is shown in the main image. Brightens up the living room...or I mean, living/guest room now :) thanks Sleepers. Really, thanks! Is the mattress a blow up or spring construction? This sleeper actually has 4 mattress options: the 6" Dreamsleeper, the Dreamsleeper Plush, the Spring-Free Latex, and the Air-Dream Mattress. The 6" Dreamsleeper (an innerspring mattress), which is included, is truly much better than the standard bed found in most sleeper sofas. Also, our sleeper mechanisms have been improved, with the bar moved down about 2 feet, and no longer under your back. However, depending on the frequency of use, we would perhaps suggest an upgrade, of which there are three options. 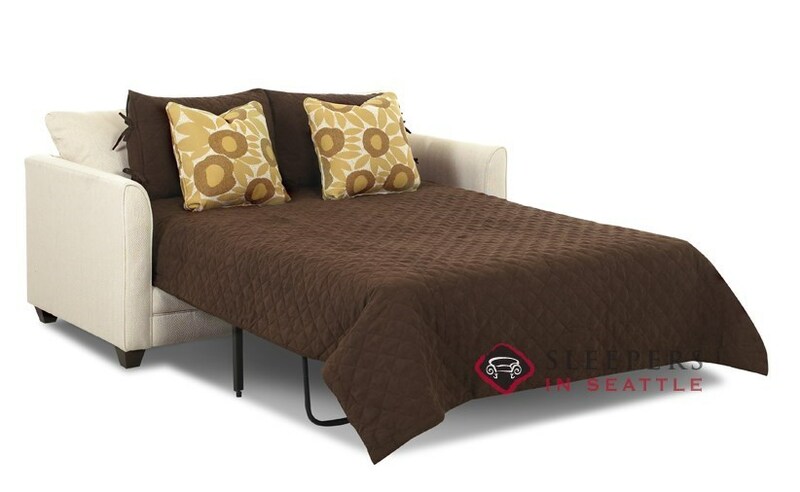 The Dreamsleeper Plush, an additional $100, contains twice as many, smaller coils, which provides a more supportive, truly more substantial mattress. Our two premium mattress options, the Air-Coil and new Latex Mattress, are both an additional $300. 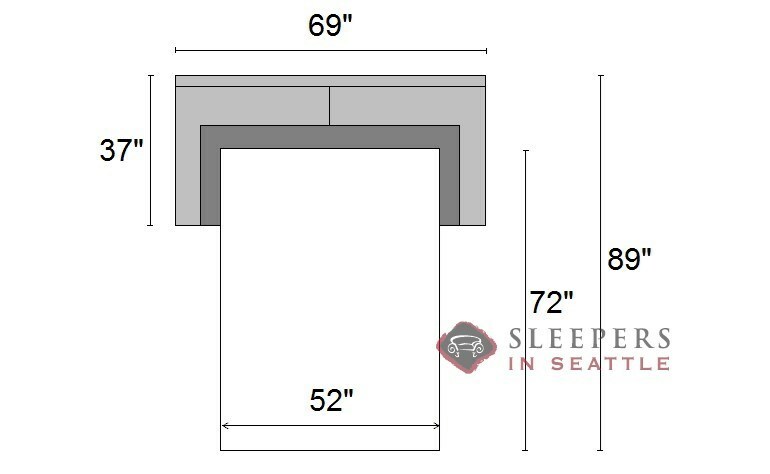 The Air-Coil, a 7" air-bladder atop the 6" Dreamsleeper base, provides the width profile of a regular boxspring mattress set you might find in the bedroom, offering a night's sleeper unquestionably better than anything available for a sofa-bed more than a couple of years back. The new Spring-Free Latex, is both thicker than a standard sleeper mattress, at 6", and without coils, will last significantly longer against wear and time. does the wash code S mean that I will need to have the sofa professional cleaned or are there upholstery cleaners I can buy? On the website the sofa is shown in what fabric? What's the pillow fabric? 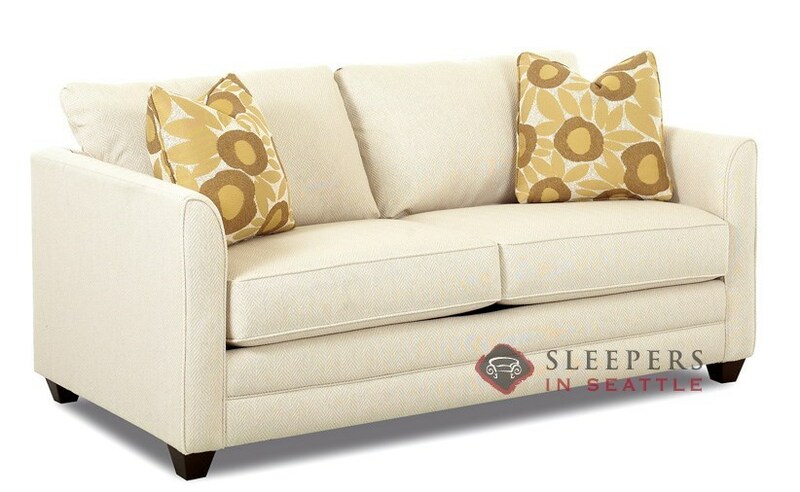 The Valencia shown in this photos is upholstered in a fabric named Herringbone Natural, with Sunflower Sunflower pillows. Unfortunately, Herringbone Natural has recently been discontinued and is no longer available. 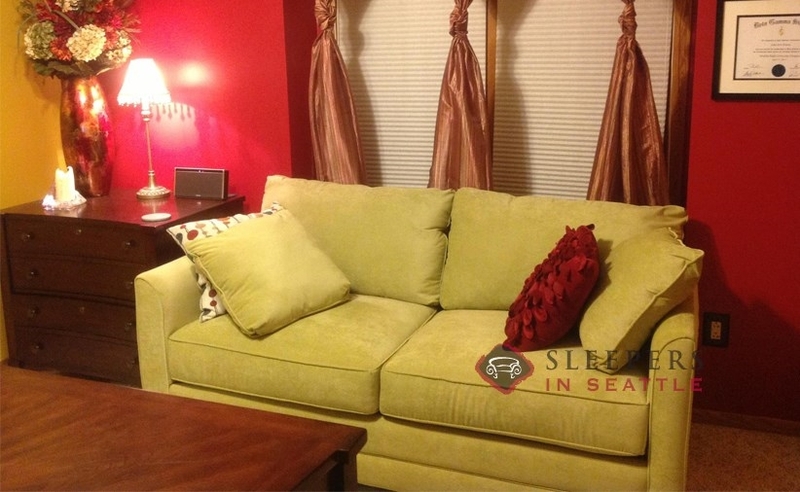 A few similar upholstery options would be Dumdum Linen, Solo Natural, Grady Natural, Posh Natural and Sabal Champagne. Can I order a regular (non-sleeper) sofa to match the valencia full size sleeper? Yes, absolutely! Look below under Related Furniture. There you will find a Valencia Sofa--which does not include a mattress! How wide does the door need to be in order to fit the Full Sleeper? The Valencia Full Sleeper can be delivered through a doorway that is 24.5" wide or larger. The Valencia is offered with 4 mattress options. 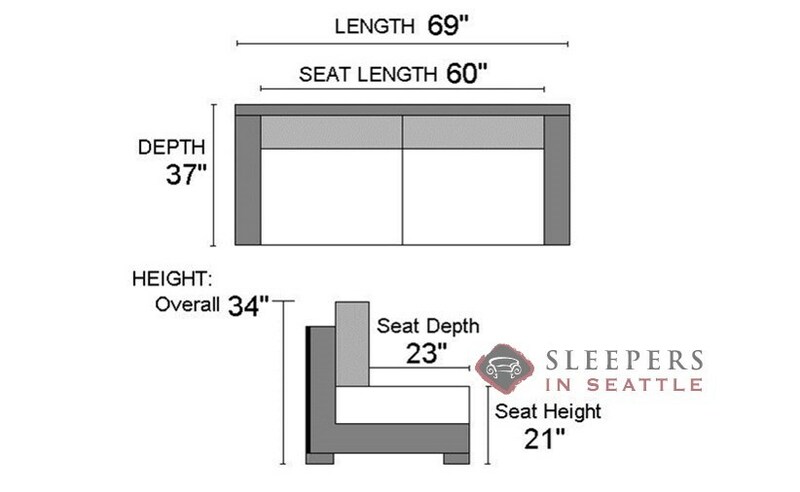 The included option, "The DreamSleeper," is approximately 6.5" deep; offering significantly more comfort and support than the standard bed found in most sleeper sofas. can I get a different color piping on the valencia? Yes, absolutely! In our Design Center (access by clicking "Build Your Own", above), you can select any upholstery you like for the piping. What are the dimensions of the cushions that come with the sofa? Each seat cushion is approximately 30" long. what is the name of the gray fabric shown in the video? is it microsuede charcoal? The fabric shown in our video is Willow Smoke, made up of 100% Polyester. what is the seat height (distance from seat to floor)? The seat height of this Valencia Sleeper is 21" from the ground to the top of the seat cushion. This model does utilize the bar-and-canvas system, however it has been drasticlaly improved, with the bar moved down, away from the small of your back--a simple change which makes a tremendous difference. 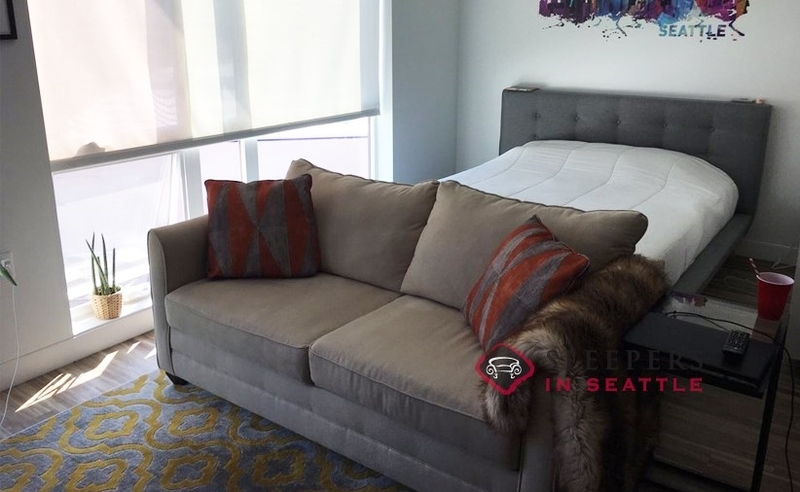 What is the measurement of this sofa with the bed fully pulled out? 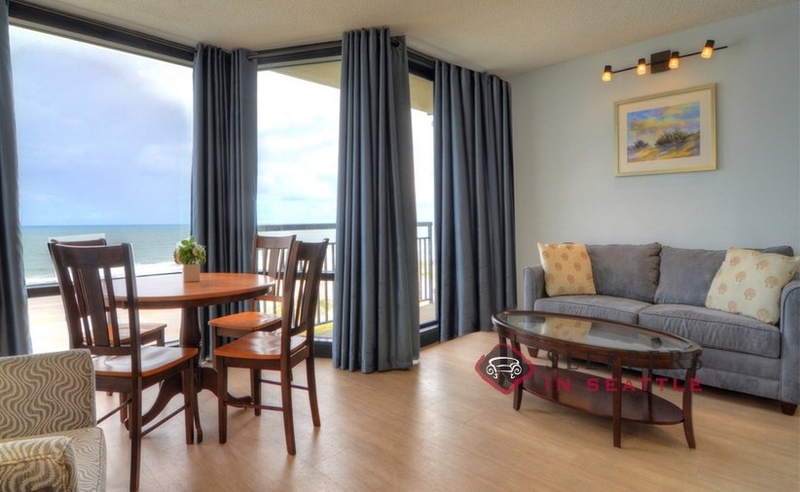 The total footprint when open, from the back of the couch to the foot of the bed, is 89". since the mattress is mostly inside the couch folded up which mattress holds up the best over a period of several years, as in which mattress will not breakdown or become too compact and hard? Each mattress is specifically designed to be used in a sleeper, and to hold up with many years of use. They each have their own warranty and comfort level, but all will hold up with years of usage. do you ship to Canada or have any retailers in Canada? Yes, delivery to Canada is available. Email our team using [email protected] to determine pricing. At this time, our only showroom is in Seattle. 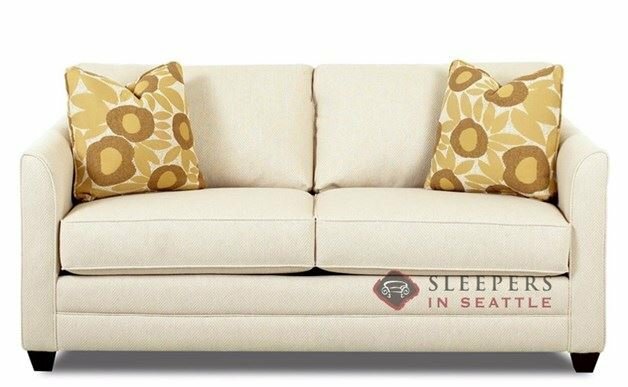 What is the weight of the full Valencia sleeper sofa? The Valencia Full Sleeper weighs approximately 170 lbs.